Ten years ago, I was just getting my sea legs as an art teacher. After three years in the art room, I had grown from teaching 9 hours a week at one school to 23 teaching hours at two. I loved coming up with lesson ideas and was so proud of what the kids were creating. I started photographing my lesson and began publishing them on a new thing called a blog. Sharing with other teachers was the start of something wonderful. But embarking on a teaching career wasn’t as smooth. Just a few years earlier, I was a school volunteer; coordinating fundraisers and running PTA meetings. Not necessarily a prerequisite for an art educator. I said YES to an unexpected opportunity.? 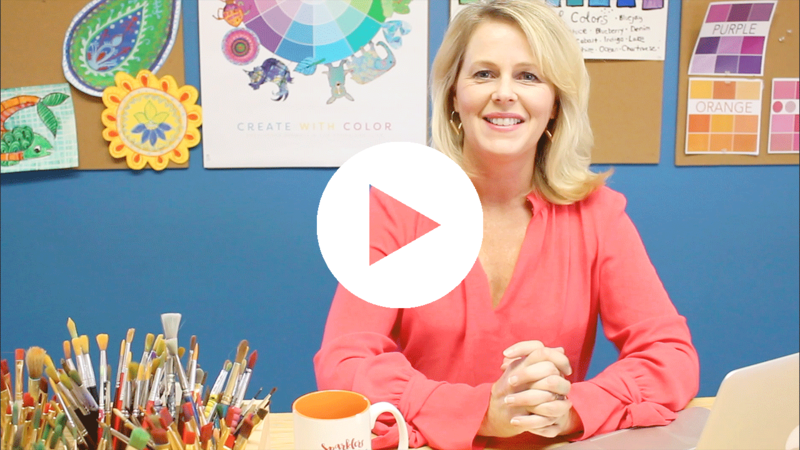 This video shares my story of how I was hired and the thing that almost prevented me from becoming an art teacher. How did you become an art teacher? What was your path like? I’d love to hear YOUR story…. Looking for great conversations? Join our private Facebook group. CLICK the image below & request to join in Facebook. I am art teacher now. After I was designer for ten years, I was art teacher of university. Three years ago, I left university and advertis firm. I want to come back my art studio with my daughter to draw something or painting it. In 2016, I established my aesthetic studio to teach 3-12 years old. I want to share teaching and experience each other.